A District Court in North California dismissed a suit against Facebook, by a Sikh group “Sikhs For Justice (SFJ)” which had alleged that the Facebook violated federal and state law by blocking access to Plaintiff’s Facebook page in India. The Court granted the Defendant’s motion to dismiss the suit saying that the claim by the Sikh group is barred by Communications Decency Act(CDA). The Sikh Group claimed that, through the SFJ Page, they had organized a number of political and human rights advocacy campaigns, including promoting the right to self-determination for the Sikh people in Punjab and opposing the forced conversions of religious minorities to Hinduism that have allegedly taken place in India since the election of Prime Minister Narendra Modi in May 2014. 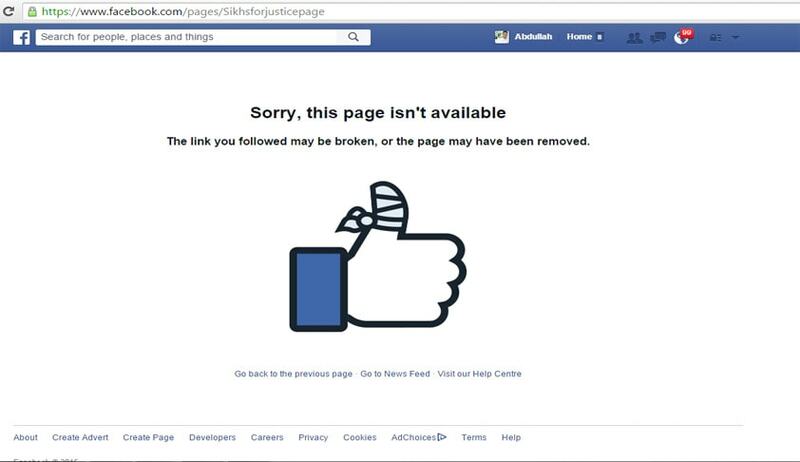 Their grievance against the Facebook is that, on or about May 1, 2015, Defendant blocked access to the SFJ Page in India without prior notice or an explanation to Plaintiff. According to SFJ, the Facebook blocking their page isa discrimination against their members on the grounds of race, religion, ancestry, and national origin. Title II does not apply extraterritorially, to discrimination occurring in India. Facebook contended that all of the claims are barred by the federal Communications Decency Act. Section 230 of the CDA Act says that “No provider or user of an interactive computer service shall be treated as the publisher or speaker of any information provided by another information content provider”. The Court observed that the Plaintiffs do not dispute that Facebook is an interactive computer service. However it was contended that the SFJ Page is not “information provided by another information content provider”, the court dismissing that argument held that “the SFJ Page, which was created entirely by Plaintiff, is “information provided by another information content provider” within the meaning of § 230.”The court also agreed with Facebook contention that the claim is entirely based onblocking of the SFJ Page in India, which is publisher conduct immunized by the CDA. Rule 8(a) (2) of the Federal Rules of Civil Procedure requires a complaint to include “a short and plain statement of the claim showing that the pleader is entitled to relief.” A complaint that fails to meet this standard may be dismissed pursuant to Rule 12(b) (6). By allowing the motion of dismissal by Facebook (defendant), the court essentially ruled that the complaint failed to meet the required standard as above. If the court concludes that the complaint should be dismissed for failing to meet the standard as above, it can then decide whether to grant leave to amend. In this case, the court said that granting leave to amend would be futile because this claim is barred as a matter of law.